Most of us in the cryptocurrency space have learnt of the often occurring deceitful and downright immoral practices that the traditional banking system play at, ever since what we Aussies refer to as the Great Financial Crisis (GFC for short) in 2008 trust in this system has been falling at a steady pace. 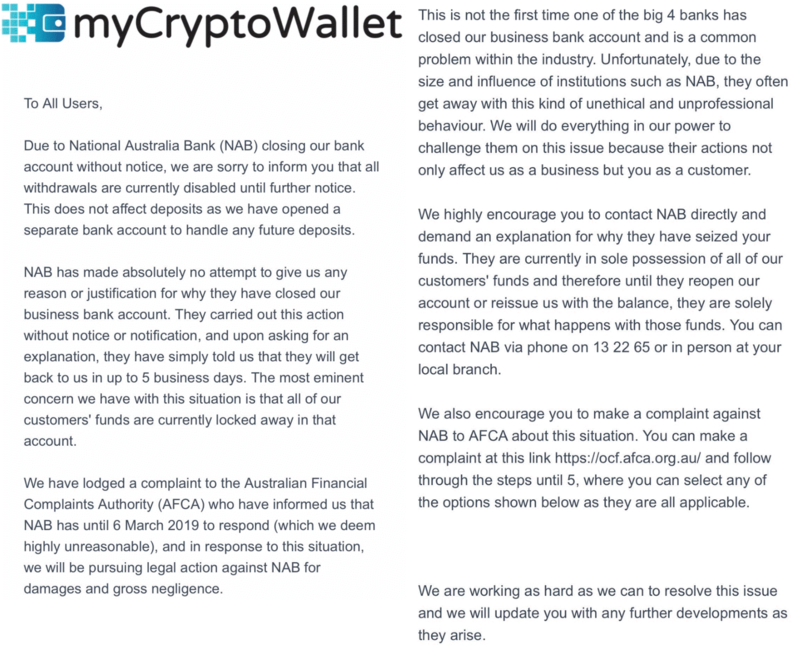 One of Australia’s larger banks NAB (National Australia Bank) has recently closed the account of ADCA accredited myCryptoWallet without explanation. 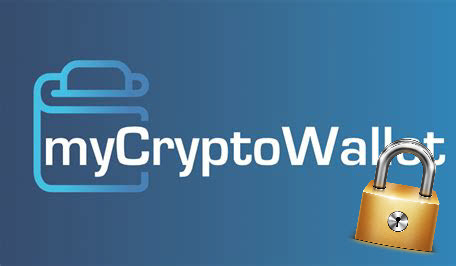 Due to the unfortunate closing of the exchanges account withdraw of funds have been disabled by myCryptoWallet, the move by NAB has been labelled as both unethical and unprofessional by the team at myCryptoWallet in an email to customers. According to the email there was no prior notification to the closing of the account nor explanation. With the exchanges most pressing concern being that of their customers funds being locked away in the closed account. As seen in the email below a complaint has been made to the Australian Financial Complaints Authority (AFCA) leaving NAB with until the 6th March to respond, a long period of time. If you have been affected it advises you contact NAB directly as they are in possession of customers funds. At time of writing there has been no updates via there twitter account.